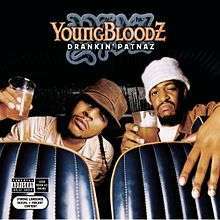 Drankin' Patnaz is the second studio album by southern rap duo YoungBloodZ. It was released on August 26, 2003. "U-Way (How We Do It)"